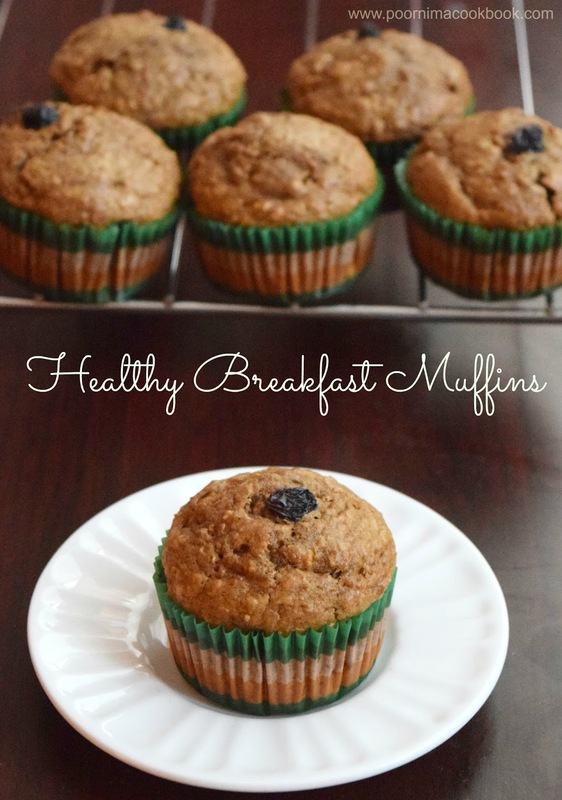 This nutritious and tasty muffins are perfect way to start the day! 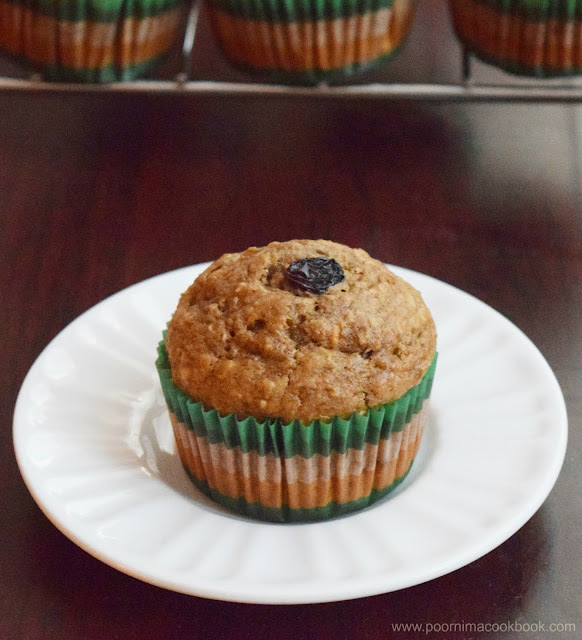 As a mom I feel very satisfied when I send this muffins for my kids lunch box as it has wheat flour, oats, carrots, orange, bananas and dry fruits. I have adapted the recipe from Marthastewart.com and made slight changes according my preference. 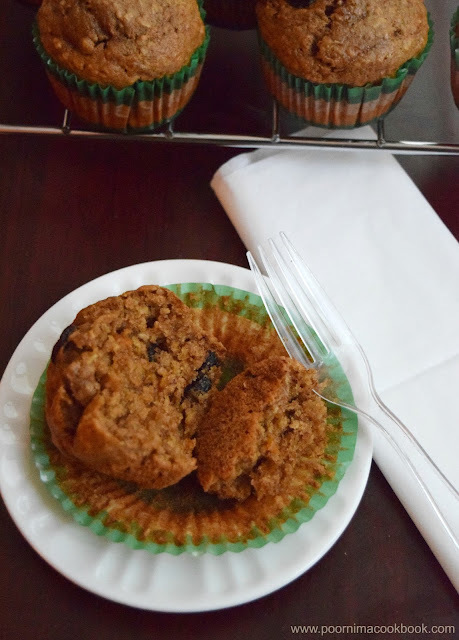 Try this healthy muffins and give your feedback! Take all the dry ingredients (oats, all purpose flour, wheat flour, brown sugar, salt, cinnamon powder, baking powder, baking soda) in a bowl. Mix well. Next add in milk, oil, vanilla essence, grated carrots, orange juice, mashed bananas and raisins (reserve some for topping). Stir till it blends well. But don’t over mix as this will make the muffins heavy. Your healthy and filling /Muffins is ready to munch on! Feel free to substiute any of your favourite fruits (chopped apples, blueberry, strawberry etc..) and nuts. These muffins looks so good!! Tasty and healthy! Want to powder the oats??? No need to powder geeth. You can also sprinkle oats on top of the muffins along with raisins. yes, you can bake in convection mode.